I will start right off by saying I’m not a big fan of magazines lying around the house regardless how pretty their covers are. But at the same time I’m the worst with keeping them in order, so if you enter my house you will spot one in the hallway, a pile in a living room – right next to the sofa and under the coffee table, a few on a nightstand, in the kitchen and so on, I guess you got the point already. This magazine disorganization also leads to frequent drama at home, because occasionally somebody flips over them (ooops!). 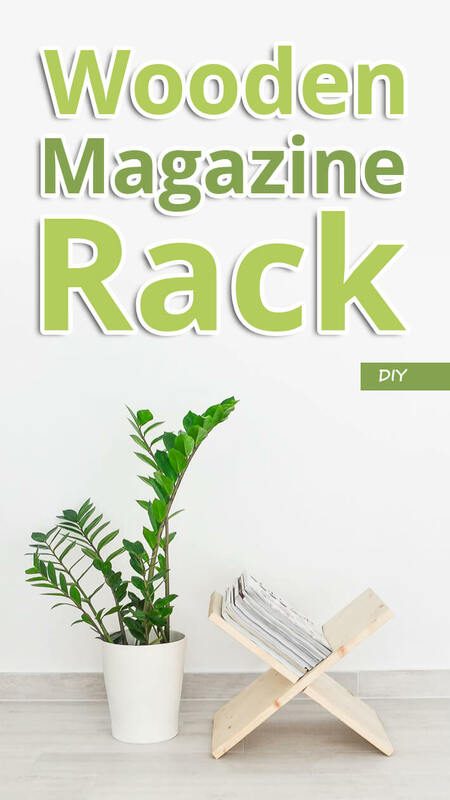 DIY – Wooden Magazine Rack. 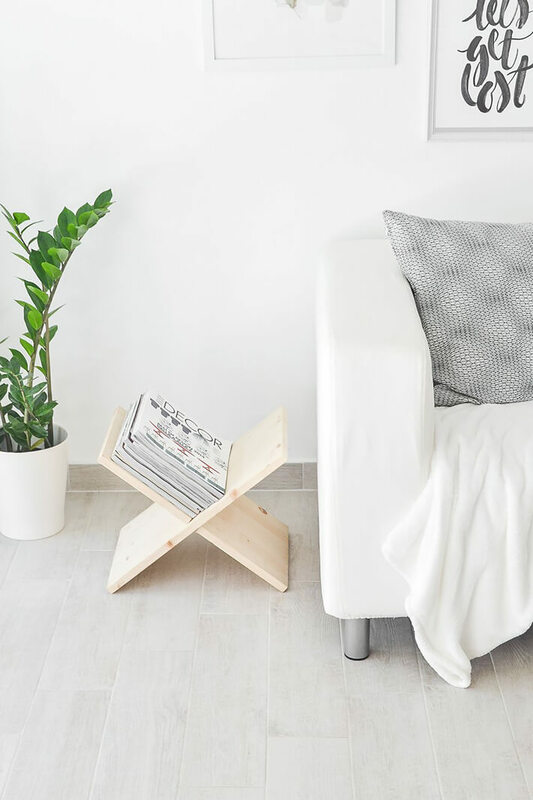 This project involves wood cutting, however If you are not confident to use a saw, you might ask at your local hardware shop to cut the pieces of wood for you in the desired shape.